Comic book retailers today received an e-mail informing them that Thanos, Son of Titan--a five-issue miniseries by Joe Keatinge and Richard Elson--has been cancelled. No cause was given for the cancellation and no indication was made that the books would be published or resolicited at another date. Regarding the first issue, which was scheduled to ship in October, retailers received an e-mail from Diamond Comics Distributors that said, "*THANOS SON OF TITAN #1 (OF 5) & VAR (AUG120580-1, $2.99, FOC 09/24/12) has been cancelled." 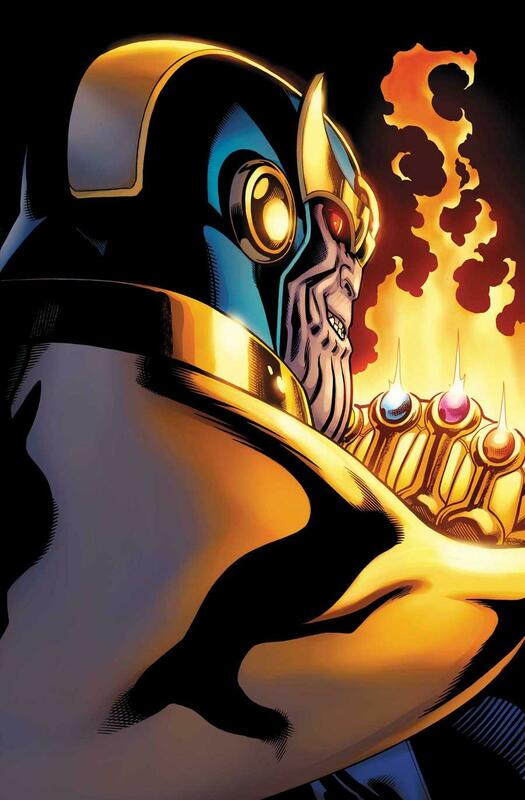 There's been a fair amount of speculation online already that the series may have been cancelled out of concerns over a potential lawsuit by Thanos' creator, Jim Starlin, who claims that the character was created before he brought it to Marvel and not, as most mainstream superhero characters are, a work made for hire. Starlin, though, rejected the possibility of a lawsuit against Marvel at the Albany Comic-Con last month, telling an audience at a panel he shared with fellow writer Ron Marz that "the last guy I know who did that ended up paying [Marvel] $17,000." He was referencing Gary Friedrich, who sued Marvel to obtain a share of the rights to the character, but instead found himself the loser of a countersuit by the publisher that alleged he had been selling illegal merchandise at comic book conventions in violation of Marvel's copyright. Envisioned as a "year one"-style reimagining of Thanos' origin story, Keatinge had described the book as "about how Thanos came to be" in an interview with USA Today. "I don't go Forrest Gump on it, but aspects of the Marvel Universe have been born that directly turn Thanos into who he is." Keatinge is best known for his Image Comics work on titles like Hell Yeah! and will launch Intergalactic, a Monkeybrain Comics series, through ComiXology soon. Featured at the end of Marvel's The Avengers, Thanos has become the focus of a lot of fan attention with speculation that an adaptation of Starlin, George Perez and Ron Lim's The Infinity Gauntlet, a story that featured Thanos as the principal antagonist. He's also reappeared in comics, overcoming the notable obstacle of having been dead, in Avengers Assemble by Brian Michael Bendis and Mark Bagley. There, he's squaring off against The Avengers as well as the Guardians of the Galaxy, who will headline their own 2014 film from Marvel Studios.